Hello wowzers and welcome to August! Is this summer flying by or what? Now, if I could just get the bathroom renovation to go by as quickly I'd be one happy camper. We are now playing the waiting game of waiting on subs to show up. No one came yesterday, but fingers crossed the carpenters show today to install some trim and the tile guy said he will be here Wednesday. I have learned not to get excited when they say that, but just to believe it when I actually see them. 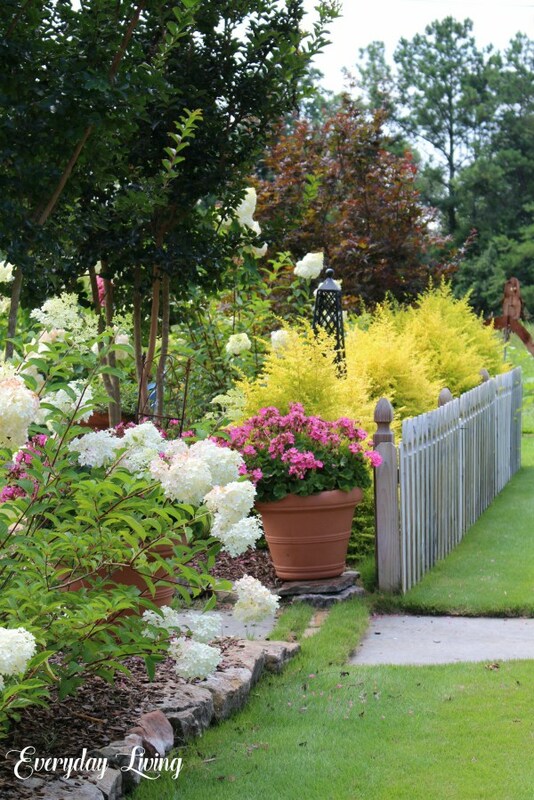 Take a tour of Pam's beautiful summer garden. 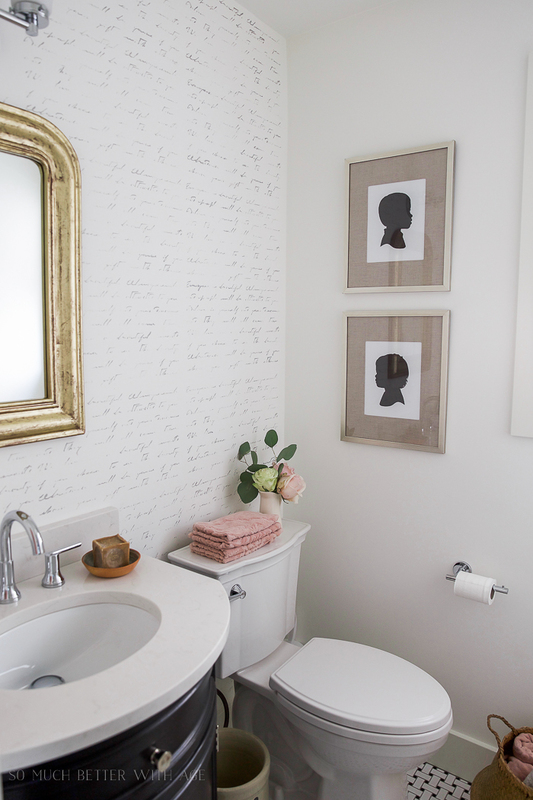 Jamie did a fabulous job on this sweet powder room makeover. This is such a clever idea that Patti came up with and you might want to try this idea, too. So happy to be partying with you again and have a wonderful week! Kim, thank you for hosting each week and I was so excited to see the feature of my garden! Remodeling is not an easy endeavor. Good luck. Thanks for hosting, Kim! Beautiful posts this week, and I can't wait to check out that bench makeover. Looking forward to your master bath update, too. Hope your guys show up tomorrow , that gets frustrating. Thanks for hosting! Thanks Kim for hosting. Have a good summer week. Thanks for hosting! Hope you're having a great week. Finally, I have a reveal worth showing at your fabulous party! Thanks for the party, Kim. Hope you make some great progress in your renovations. Hi Kim, it's my first time to party with you today (even though I'm a little late). Thanks a bunch for hosting. I'm a newbie gardening, etc. blogger and so exciting to join in the fun. Thanks for hosting and I hope that your bathroom does get done. Have a great rest of the week. Thank you for hosting! I had fun looking at all three of your headliner posts ~ just spent and hour pinning away and happily reading. Sometimes we've just got to do that as bloggers ourselves to be happy and feel inspired.